Due to the weather, the Rocket Launch is postponed until next week. Even if the rain subsides this afternoon, the grass will not dry fast enough....cardboard rockets do not mix well with wet grass. The Rocket Launch is rescheduled for next Sunday, 30 Sept, 3-5 PM at Heritage Farm Park. Join us at Heritage Farm Park on September 23rd, 2018 at 3:00 p.m. for our annual model rocket launch. Each Scout will get to launch a rocket, some climbing to 1600' or even higher. This is a great event for the Scouts and is also a great recruiting tool, so if you Scout has a friend who may be interested in Scouts it is a great time to introduce them to the program. Hope you can all make it. 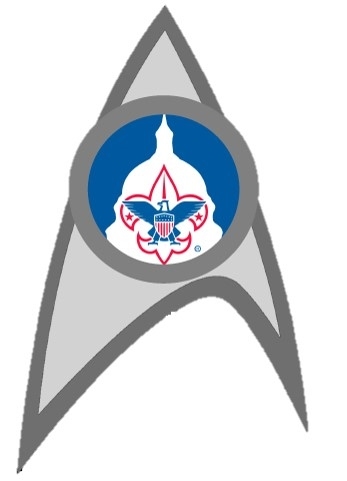 Join Scouting Night and our first Pack Meeting of the year will be September 20th from 7-8 PM at Walkersville United Methodist Church. 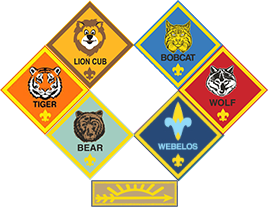 We will review the Pack 1070 Program, schedule of events for the year, register new Cub Scouts, and link up new Cubs with their Dens. Join us at Heritage Farm Park on September 11, 2016 at 4:00 p.m. for our annual model rocket launch. Each Scout will get to launch a rocket, some climbing to 1600' or even higher. 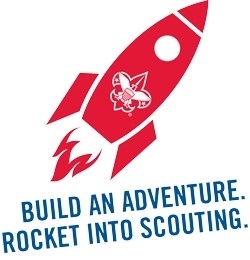 A reminder that any new scout who registers with BSA will receive a model rocket kit of their very own (not sure when District will distribute rockets!)! will be training at the Frederick Municipal Airport beginning Monday June 27, 2016 through Friday July 1, 2016. In order to begin this Adventure you must register and submit all necessary apprentice forms to qualify for enrollment in The Academy. This applies to all who attend regardless of your role at camp. Without the proper papers, you will not qualify. You must also submit a fee for your training. $190.00 if you register before April 15, 2016. $210.00 between April 15 and May 20, 2016. On Friday December 11th, Pack 1070 will be participating in the Annual Kris Kringle Parade. This runs about an hour and is a GREAT event. I will bring the Hot Coco and the Sleigh we have used for years. After the Parade, we will hold our 2nd Annual "Parents Night Out"
This is a FREE Event where Pack 1070 will sponsor a "Lock in" at the church and provide Dinner and Breakfast allowing the parents to enjoy an evening out. Please RSVP to cor@pack1070.org if you are interested in either event ! Scouting for Food is an annual food collection orchestrated by Scouts from National Capital Area Council. Local Scouts distribute plastic bags to homes across the region and return to pick up the bags, now filled with food, one week later. Collected food is distributed to needy families throughout the communities of the Council. 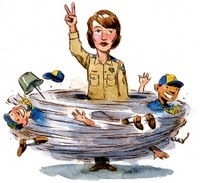 Cub Scout packs, Boy Scout troops, Venturing crews and Sea Scout ships throughout the Council will be distributing Scouting for Food donation bags in local neighborhoods. They return to collect those bags one week later. So bring your Tent, Sleeping bag and costume and "be prepared..." to have fun. Please RSVP by Oct. 9th and I will contact you about the required deposit. Based on your availability, you may choose to stay Friday night, Saturday night, both, or neither and just come up during the day. Please let me know so we can plan accordingly.